By volunteering at the Pearl, you not only help support the arts in your community, but you also create lasting friendships with volunteers just like you! Want to volunteer at the Pearl? Here are some different events we need a few extra hands for! 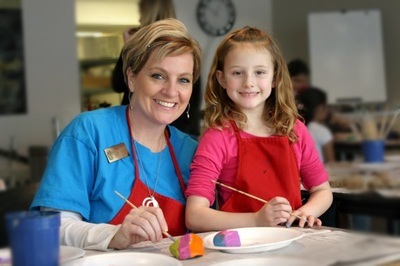 Watch kids and teens make their own masterpieces in our 5 day summer camp! The second Saturday of each month, hundreds of visitors flock to the Pearl to make a free craft based on the current exhibition. Each Wednesday during the summer, we will offer a free activity for visitors as well as story time session for young kids.